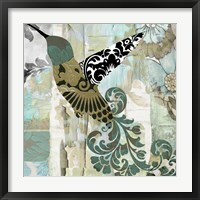 People have always been fascinated by birds and their ability to cover huge distances by simply flapping their wings. 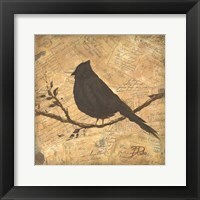 Caged birds are a far cry from this concept and if you want to admire the beautiful flying creatures every day without stripping them of their freedom, framed bird prints are the best choice. 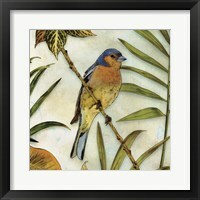 While some birds are fascinating due to their colorful feathers, others warm our hearts with their songs. 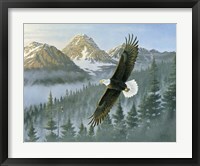 That said, it's the ability to reach the skies that's most often celebrated in bird art. 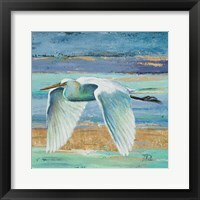 Our Framed Art galleries feature a wide range of bird prints, from common bluebirds and robins to exotic pelicans and flamingos. 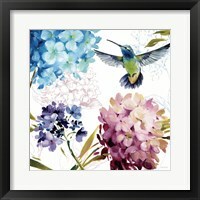 You'll find everything from tiny hummingbirds all the way up to owls and eagles. 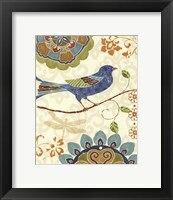 Not all birds have the ability to fly, although this doesn’t make them any less charming. 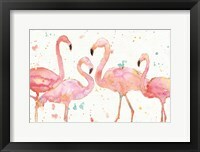 Penguins are a shining example. 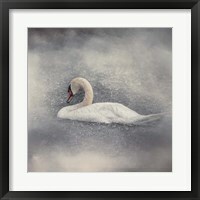 They are funny to watch as they waddle about on ice and are known to be excellent swimmers. 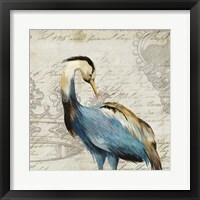 It comes as no surprise that so many framed bird prints feature penguins submerged or sliding on slippery surfaces. 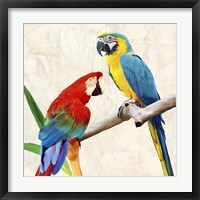 Parrots are the other side of the spectrum. 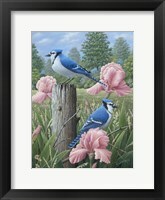 They provide wonderful companionship with their uncanny ability to imitate the human voice and memorize words. 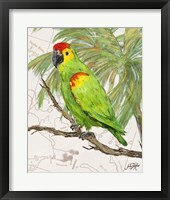 This talent has ensured the parrot's presence in many fine pieces of bird art. 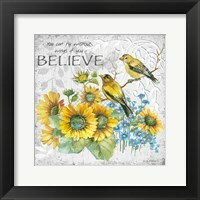 Framed bird prints featuring white doves look fabulous and convey a message of optimism, with roots in popular religion. 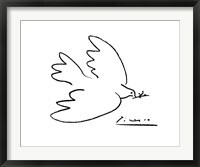 Doves have always been associated with peace and purity. 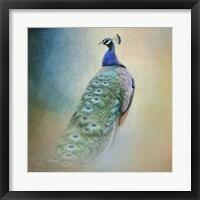 Consequently, they are a frequent sight in spiritual paintings. 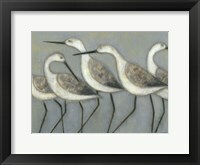 Migrating birds are perhaps the most impressive of all. 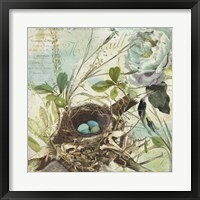 They leave their homes before the cold season arrives, flying to unfamiliar places far from home, while always returning to their nests in springtime to raise a new generation. 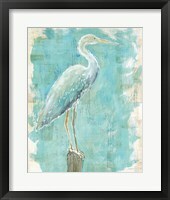 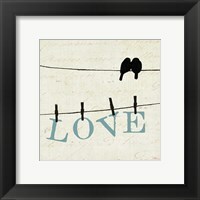 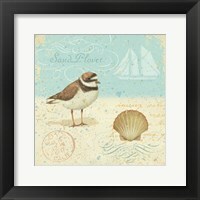 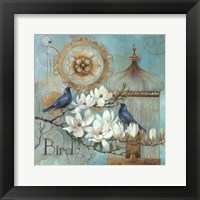 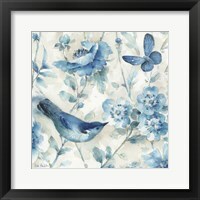 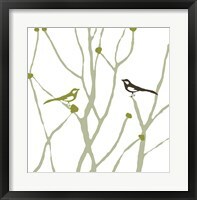 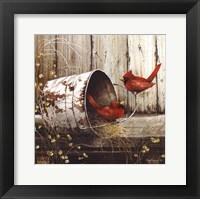 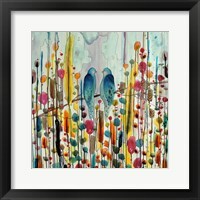 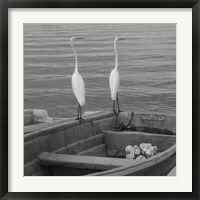 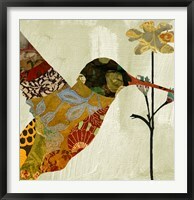 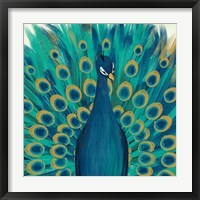 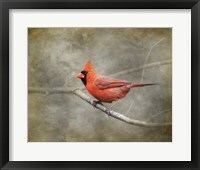 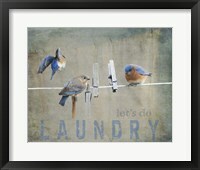 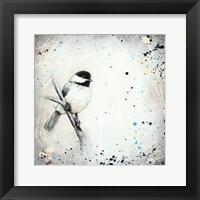 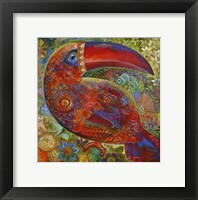 No matter which winged wonders you most desire, the FramedArt.com galleries have an endless array selection of bird art!